The annual SPINX Charity Classic Golf Tournament will be held on Tuesday, May 8th. In its 18th year, this tournament is a major fundraising event to support local charities, and the beneficiaries for the 2018 tournament include the American Red Cross, the Children’s Museum of the Upstate, Loaves & Fishes, Pendleton Place and Safe Harbor. In addition, a donation will be made to the SPINX Company’s Employee Assistance Fund. With the addition of a third course, the 2018 tournament will be one of the biggest SPINX has hosted. 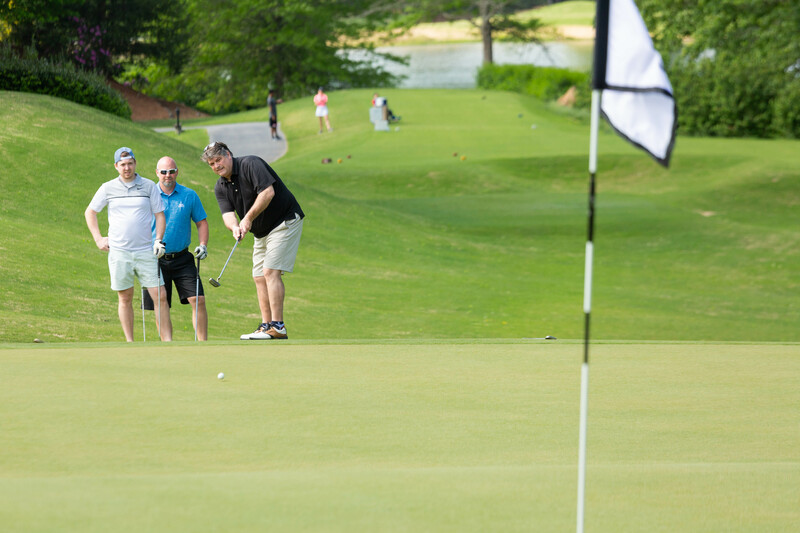 This year’s tournament will be held at Greenville Country Club - Chanticleer, Cliffs Keowee and Cliffs Valley courses. “The golf tournament is an event that we look forward to hosting every year because it’s not only a fun day of golf, but it’s an opportunity for us to come together with our partners, vendors and associates to give back to the communities we serve,” said Stewart Spinks, founder and chairman of the SPINX Company and the Spinks Family Foundation. Since 2000, SPINX and the Spinks Family Foundation have raised nearly one million dollars for local charities with proceeds from the tournament. Each year, SPINX chooses beneficiaries that align with its philanthropic focus of “growing healthy kids where we live, work and play” through programs that focus on improving education, health, wellness and moral growth for children in South Carolina. Sponsorship opportunities for the SPINX Charity Classic are open, and many include complimentary player registration. Registration at all locations will be at 8am with a shotgun start at 10am at each course. A pairings party is scheduled the evening before the tournament, and includes food, beverages, raffle and a silent auction.